Happy Honda Days are here and great deals abound on some of the most popular models in the Honda lineup. Enjoy great savings through exceptionally low interest rates on the 2016 Honda Accord, the 2015 Honda Civic, and the 2016 Honda Odyssey of your choice, but only for a limited time. These car deals end on January 4, 2016. 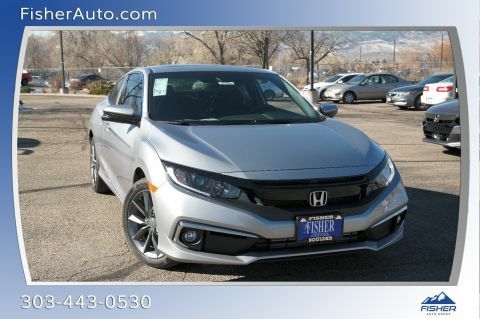 2015 Honda Civic – The popular Civic coupe and sedan are both on display, getting up to 143 hp from the inline 4-cylinder engine that delivers up to an EPA-estimated 30 mpg city/39 mpg highway fuel economy*. Buyers can enjoy features such as Bluetooth wireless connectivity, steering wheel mounted controls, Pandora compatible multi-information center, and more. Available now with an APR of 0.9% for 60 months or 1.9% for 72 months**, this is the time to get into the car of your dreams. 2016 Honda Accord – The family sized Accord delivers power from either a capable inline 4-cylinder that gets 27 mpg city/37 mpg highway fuel economy*, or a potent V6, which can make as much as 278 hp. Features like dual zone climate control, and multi-angle rearview camera with guidelines are standard. Now with 9% APR for 36 months or 1.9% for 60 months**, the Accord is more affordable than ever. 2016 Honda Odyssey – Get your family where they need to be in one of the most fuel-efficient and safest minivans on the market. The Odyssey is powered by a 248 hp V6 engine and delivers 19 mpg city/28 mpg highway fuel economy*. Features like Vehicle stability control, brake assist, and rearview camera come standard. With an APR at 0.9% for 36 months or 1.9% for 60 months**, the Odyssey is a steal. Search our inventory for great deals on other Honda models and learn about rebates and incentives that can help you save big on your purchase. If you’re looking to trade up to a new Honda car or SUV, we’ll show you how you can get more for your trade-in and help you choose the flexible financing that best suits your budget and your special situation. Enjoy the holidays with Honda car specials on the most popular vehicles in the Boulder and Denver lineup. 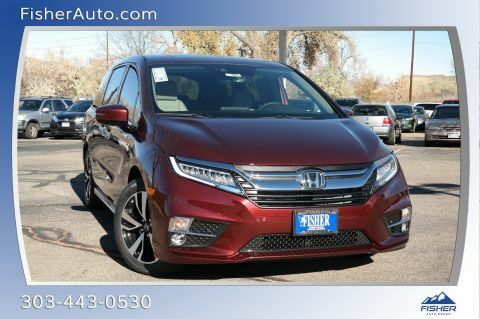 Contact Fisher Honda at (303) 245-6417 to learn more about these special prices, or stop by our showroom at 6025 Arapahoe Road in Boulder to schedule a test drive. * Use for comparison purposes only. Your mileage will vary depending on how you drive and maintain your vehicle, driving conditions and other factors. ** Disclaimer: 0.9% APR for 24-36 months or 1.9% APR for 37-60 months on the 2016 Accord coupe, 2016 Accord sedan, and 2016 Odyssey. 0.9% APR for 24-60 months or 1.9% APR for 61-72 months on the 2015 Civic coupe and 2015 Civic sedan. Special APR offer valid on new and unregistered models from November 3, 2015 through January 4, 2016, to well-qualified buyers on approved credit by Honda Financial Services through participating dealers. Must take new retail delivery on vehicle from dealer stock by January 4, 2016. Not all buyers may qualify. Higher rates apply for buyers with lower credit ratings. Dealers set actual prices. See your Honda dealer for details.